A grandmother by any other name still smells like fresh baked cookies. Nicknames for grandmothers, like grams, mimo, and gram grams, may stem from family tradition, a grandmother's preference, or even from a grandchild's inability to pronounce the word 'grandmother' or 'grandma'. Find the perfect nickname to fit your grandparenting style. While the term 'grandma' is probably the most common nickname for 'grandmother', some grandmothers predetermine the name their grandchildren will call them before the baby is born. For many, the term 'grandmother' is too formal. The nickname they choose to use instead may be based on family customs, a desire to have a unique nickname, or may be related to ethnic background. Even with all this planning and searching for the right name, it is not unusual for these predetermined nicknames to change when the baby grows old enough to attempt to talk. In their sweet baby-talk efforts, many grandchildren have given grandmothers unique names that stick! Some traditional nicknames used for grandmothers come as the result of children who couldn't say 'grandma' or 'grandmother'. Others may be variations on spelling grandma, such as grammie or grammy. Many of these mispronunciations and spellings are common nicknames for grandmothers today! This list of traditional nicknames reflects many such names for 'grandma'. Unusual nicknames are often chosen by women who feel too young to be called anything like "grandma" but who still look forward to that close grandparent/grandchild relationship. Such names come about usually with a story of how the name evolved, or they are associated with an interest or hobby. For example, some grandmothers choose to be called by the name of a character from a favorite book. 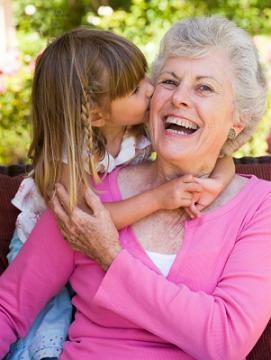 Family background and heritage also play a role in what grandchildren call their grandmother. Even in other languages grandmother nicknames replace the more formal word for grandmother. For example, families with a Japanese heritage may call their grandmother "O-baa-chan" instead of the more formal "O-baa-san." In the same way, many Jewish families affectionately call their grandmothers "Bubbe," while Italian grandmas are called "Nonna," and Hispanic grannies are "Abuela." If you're really not ready to be called grandma because it makes you feel old, you can go with a trendier nickname like G-ma or G-mom. The alternatives to being called grandma are as endless as your creativity. Other popular modern choices include Mimi and Gigi. If you're really stuck finding the right nickname because nothing seems to fit, you can always try a grandma name generator. You may be surprised at what it comes up with! 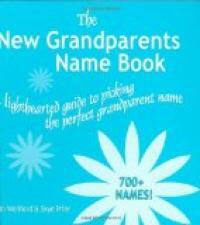 Or you can buy a book such as the New Grandparents Name Book and find a wealth of possibilities. Before you become a grandmother, you may think you don't want to be called by any of the "old lady" names, because you're not ready for the rocking chair! However, once the baby is born, you'll be amazed at how the magic of the words spoken from those little lips transfer the term 'grandma' into a magical, beautiful thing, and how the rocking chair welcomes you both to a new world.